Medical diagnosis is a most important problem in medical data mining. The possible errors of a physician can reduce with the help of data mining techniques. The goal of this chapter is to analyze and compare predictive data mining techniques in the medical diagnosis. To this purpose, various data mining techniques such as decision tree, neural networks, support vector machine, and lazy modelling are considered. Results show data mining techniques can considerably help a physician. 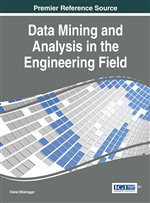 This chapter is referred to the application of data mining in medical diagnosis, in particular predictive data mining methods. Data mining methods have been applied to a variety of medical diagnosis in order to improve the process of medical diagnosis. Artificial neural networks (ANN) such as Multilayer perceptron (MLP), Probabilistic Neural Network (PNN), Radial Basis function (RBF), and learning vector quantization (LVQ) have been widely used in disease diagnosis. Temurtas (2009) compared MLP, PNN and LVQ for thyroid disease diagnosis. In another work, MLP was applied for diagnosis of hepatitis disease(Bascil & Temurtas, 2011); in the subsequent work, these authors used PNN for hepatitis diagnosis(Bascil & Oztekin, 2012). PNN has also been used to Mesothelioma’s disease(Er, Tanrikulu, Abakay, & Temurtas, 2012). In addition, evolutionary neural networks and ensemble of neural networks have been applied in some works(Abbass, 2002; Das, Turkoglu, & Sengur, 2009b). Support vector machine is another classifier which was frequently used for disease diagnosis such as Thyroid(Dogantekin, Dogantekin, & Avci, 2011), hepatitis(Çalişir & Dogantekin, 2011; Chen, Liu, Yang, Liu, & Wang, 2011; Sartakhti, Zangooei, & Mozafari, 2011), breast cancer(Chen, Yang, Liu, & Liu, 2011), and heart disease(Yan & Shao, 2003). In addition, tree based classification algorithms and discriminant analysis can be seen in the literature(Jerez-Aragonés, Gómez-Ruiz, Ramos-Jiménez, Muñoz-Pérez, & Alba-Conejo, 2003; Kabari & Nwachukwu, 2012; Pandey, Pandey, Jaiswal, & Sen, 2013; Vlahou, Schorge, Gregory, & Coleman, 2003).